2015: Investment Firm, Durham, North Carolina. 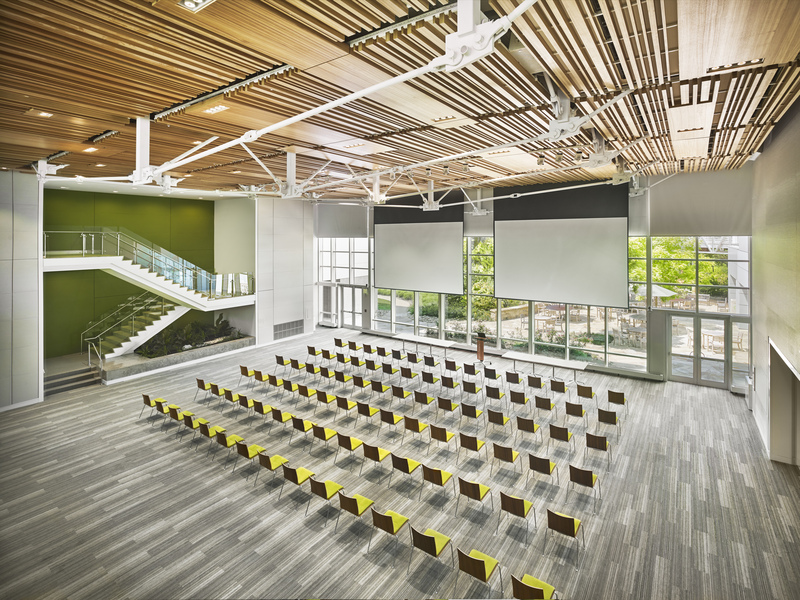 This 4,000 sq ft. renovation of an existing space connects two buildings in order to provide a multipurpose room which is used for presentations, performances, all hands meeting, and lectures with video conferencing capabilities. Our initial review helped the architect determine the best seating layout to maximize the audio and video experience. The acoustical design included recommendations for the HVAC system and finish treatments to control the reverberation. 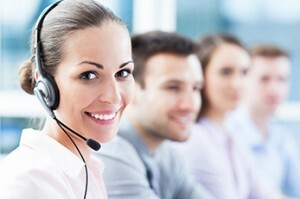 The audio video system was designed for a simple group meeting in automatic mode (no operator) or in full production mode when the space is used to transmit to all offices and branches. 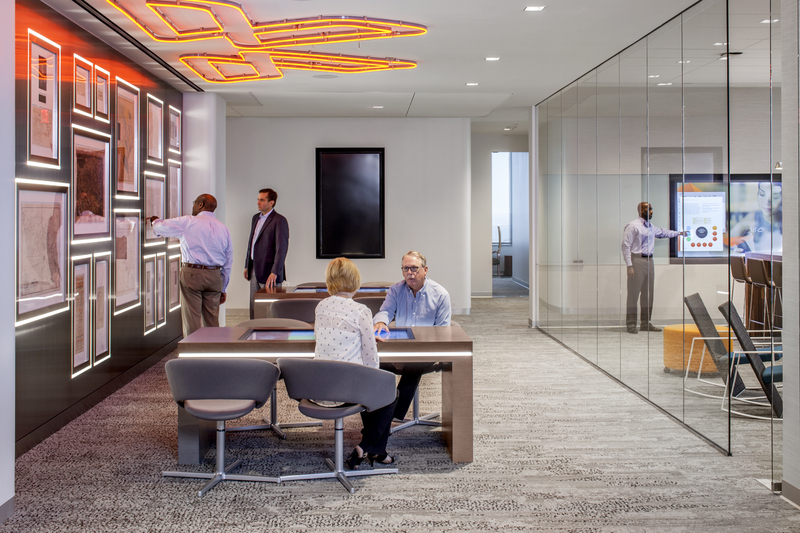 2016: BMC Executive Briefing Center, Houston, Texas. To meet client needs, the existing 12,000 sq ft. space was remodeled and expanded into an 18,000 sq ft. state-of-the-art executive briefing center. This center blends technology with organic and natural wood elements and features a custom LCD touch panel interactive wall. TA provided acoustical design for sound isolation, speech privacy and HVAC system noise control. Lighting design services involved fixture selection for the lobby, gallery, video conference meeting rooms, cafeteria, briefing rooms and lecture hall. The center shared the floor with the executive suite making sound isolation and noise control vital. The south and west facing facades required careful control of day lighting.